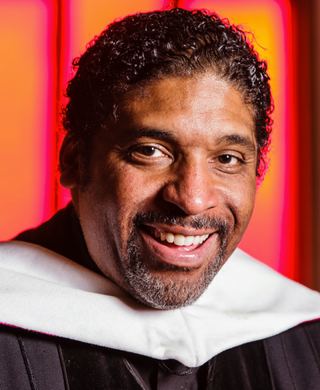 The NAACP president in North Carolina, the Rev. William Barber, slammed black Republican Sen. Tim Scott for being a "dummy" for the Tea Party, according to Talking Points Memo. At a speech on Sunday to members of the South Carolina NAACP, Barber made the fiery comments, encouraging people to not "give up the so-called high moral ground" to the right-wing extremists. "A ventriloquist can always find a good dummy," Barber said during the speech. "The extreme right wing down here [in South Carolina] finds a black guy to be senator and claims he's the first black senator since Reconstruction and then goes to Washington, D.C., and articulates the agenda of the Tea Party." Barber also listed the ways in which Southern governors and Republicans in Congress have mistreated fellow Americans, which included "leaving the Confederate flag to fly on the grounds of the South Carolina Statehouse to refusing federal money to expand Medicaid and allowing poor schools to fall further behind," TPM noted. Scott, who sits in one of South Carolina’s Senate seats, remained unmoved by the comments. "To reflect seriously on the comments a person—a pastor—that is filled with baseless and meaningless rhetoric would be to do a disservice to the very people who have sacrificed so much and paved a way," Scott told the Daily Caller. "Instead, I will honor the memory of Dr. King by being proactive in holding the door for others and serving my fellow man," he added, with a swipe of his own. "And Rev. Barber will remind me and others of what not to do." Read more at Talking Points Memo and the Daily Caller.